Stereotypes of hotels as tourism titans, which dominate and drain the local community, are being overturned in Manuel Antonio, Costa Rica. La Mansion Inn is a property seeking to share its success with its neighbors. 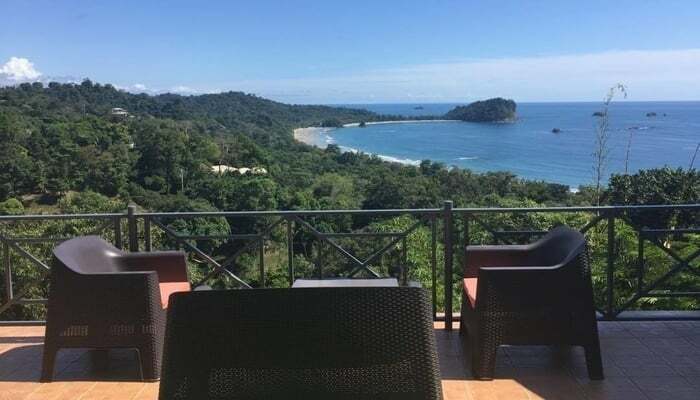 Proof that through involvement in local politics and commerce, big businesses can benefit the collective, hotels are making waves in Manuel Antonio. Voted Costa Rica’s most popular travel destination, Manuel Antonio National Park alone receives over 150,000 visitors a year. By banding together, a concerted attempt is being made by businesses around the park to see the revenue brought in by these visitors spread. 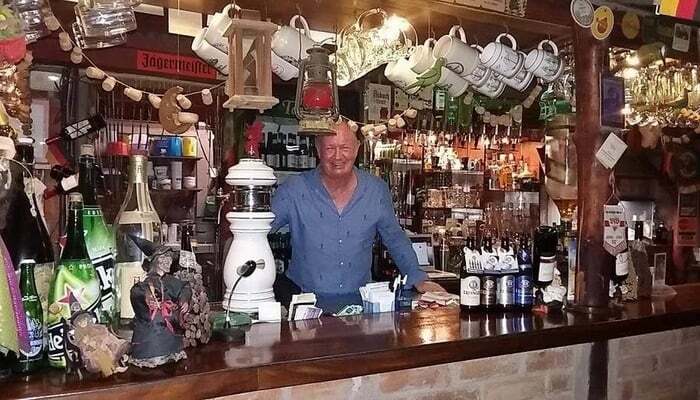 Owner of the luxury La Mansion Inn and president of the Quepos Chamber of Tourism, Harry Bodaan is leading the field. We speak to him to see how politics and hospitality can go hand in hand. Bodaan’s global background sprawls itself across the design of La Mansion Inn. Flags crowd the lobby ceiling, a collage of democracies, while framed pictures of global influencers flock the walls. While wandering the corridors of the hotel, guests may find themselves face to face with pictures of Mikhail Gorbachev, Oscar Arias, and others. A place where Europe, America, and Costa Rica collide, the award-winning La Mansion Inn is a mix of international glamor and prestige. Bodaan describes La Mansion’s eclecticism, saying “people vote with their feet”. If they are unhappy with their room, they get different options until one suits their tastes. “It’s like Baskin Robbins, there are 34 different flavors,” he says. Applying this rule, his political palette is as varied, recognizing the complexities of local interests. For a small Central American chamber, addressing problems such as wealth discrepancy can be challenging. But Bodaan insists that it’s important for the business community to play a part, “especially those coming from cultures taught to give back”. Distributing resources and opportunities has become a primary goal for the Chamber, with an ambitious plan to double the income per capita of each person in the region over the next five years. Projects like the Marina Pez Vela development have already seen an increase in employment, with Quepos’ new marina creating over 2,000 jobs. Hotel-led initiatives are also in place, for example, La Mansion Inn’s Travelers Aid scheme. Guests can opt to add a voluntary $1 to their bill, which the hotel matches, for any tourists in Manuel Antonio who run into trouble. For example, if a tourist falls victim to crime, La Mansion Inn offers to house the victims and help organize their further travel arrangements. It’s a small price to pay to help a fellow traveler, and 95 percent of hotel guests agree and contribute towards the fund. Money not spent in the Travellers Aid budget, which Bodaan insists, is resorted to rarely, gets devoted to community endeavors. Surplus money has gone to a homeless shelter, a canine neutering programme, and the local police department. “Once a month we get to play Santa Claus,” says Bodaan. Investment in the local surroundings is in tune with Costa Rica’s wider outlook. Far ahead of its neighbors, Costa Rica is a pioneer in sustainable development. Bodaan monitors the hotel’s eco-footprint, recognizing the ongoing effort required for longevity. Instead, environmentalism must be ingrained in the culture, through education and accountability. La Mansion Inn’s records track how they dispose of waste and what products they use, to evaluate how they can minimize their impact on the ecosystem. The hotel’s laundry was once in-house until their findings showed that transferring it to a processing company proved more sustainable. They now send it to a larger facility in Jaco, which has the specialist resources to treat it in a less damaging way. 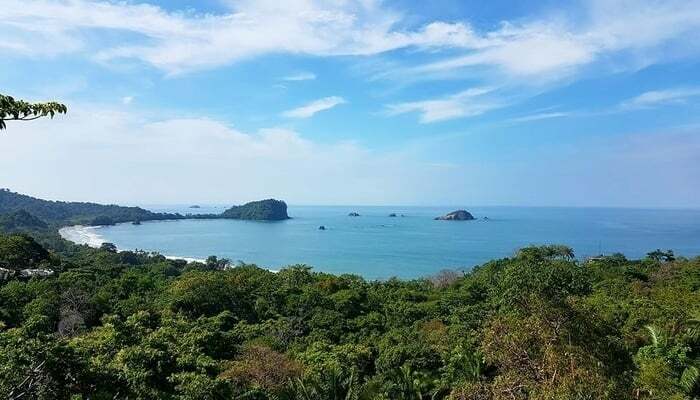 With already up to half-a-billion dollars’ worth of projects underway, it’s safe to say Bodaan’s Chamber has big plans for Manuel Antonio. As the number of tourists to Manuel Antonio increases, it’s imperative that this wealth spread out in multiple directions. Born in London, Francesca Adkins has been studying and interning in the USA and Costa Rica since 2017. Her work has appeared in publications including The Student and The Columnist, where she contributes weekly reviews to the Culture Section.